Are New Robert Mueller Criminal Indictments Coming Friday? The news media is ripe with predictions of new indictments being announced by Mueller this Friday. President Trump’s Twitter tirades and the request for a delay by Mueller team the next few days because of immediate demands for their time. Who’s going to be indicted by Robert Mueller next? Could the next indictment(s) come as early as Friday? Special counsel, Robert Mueller's team, asked a federal judge to give them until April 1 to respond to the court about a request from The Washington Post to unseal records in Paul Manafort's criminal case. "Counsel responsible for preparing the response to face the press of other work and requires additional time to consult within the government." A response to the Press’ request to make the information public did not detail the nature of the pressing work. The Washington Post has filed motions with the Federal Court that objected to the abundance of sealed and redacted records in Manafort's Washington case and petitioned the judge in his case, Amy Berman Jackson, to open them to public view. The Post filed its motions requesting the document release the night before Manafort's recent sentencing’s in the District of Columbia and Virginia, citing "the profound public interest in these proceedings," and arguing for the release of the documents because the integrity of the country's elections "goes to the core of the interests protected by the First Amendment." Mueller's team once made up of 17 lawyers, will soon only have ten on staff. Both Zainab Ahmad's work has ended, and Andrew Weissmann will soon be leaving the Mueller team for a private sector position. Longtime Trump adviser Roger Stone was the last person the Mueller team indicted for allegedly lying to Congress in January. However, speculation is at a fever over the possibility that others including Donald Trump Jr. are likely the next to be indicted. Democrats in Congress and the Senate are trying to do everything they can to urge the Justice Department to make Robert Mueller's report public. 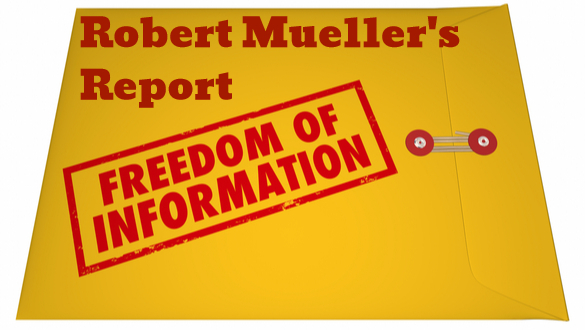 The Democrat-controlled House of Representatives last week voted overwhelmingly to call the Justice Department to publicly release Mueller's entire report, with 420-0 Democrats and Republicans supporting the measure. The Washington Post has asked that Judge Amy Berman Jackson to require prosecutors to notify the court within seven days once any related pending investigation ends to consider further unsealing of materials, and that prosecutors tell the court every four weeks their justifications for continuing to keep remaining material sealed. Prosecutors in their filing said attorneys for The Washington Post did not oppose the request for an extension beyond the original March 21 deadline. The explosion of more than 50 Tweets and re-Tweets unleashed by President Trump since last Friday is typical of his behavior before nasty and unpleasant news is about to break. So far little of this has affected the financial markets, something that could quickly change (as early as this Friday) if President Trump and other members of his family and administration are indicted. One fall out so far in recent days has been Chinese backsliding on concessions made in negotiations in talks to end the trade war. The Chinese may be recognizing Trump’s growing political weakness and the opportunity to get a much better deal to end the trade war.